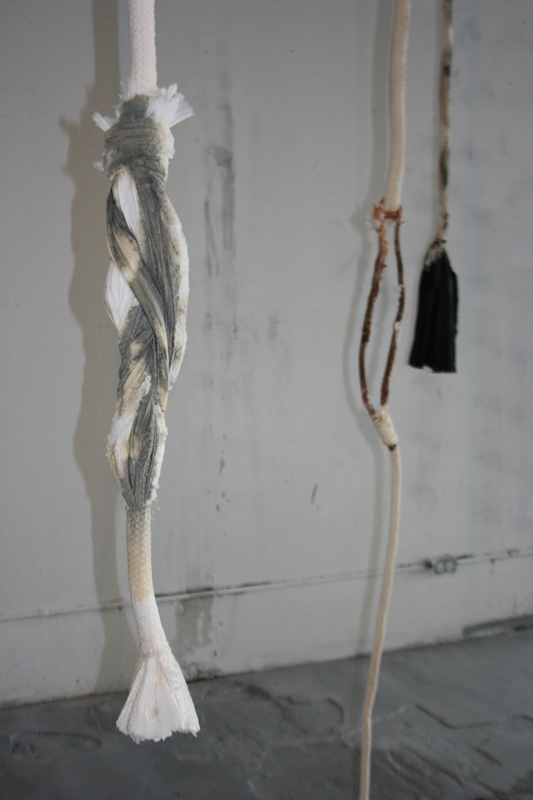 The forms for Full Bellies were inspired by snakes with insatiable appetites. They have just eaten yet their mouths are open wide, hungry for more. Steel coated wire was selected to construct the armatures. 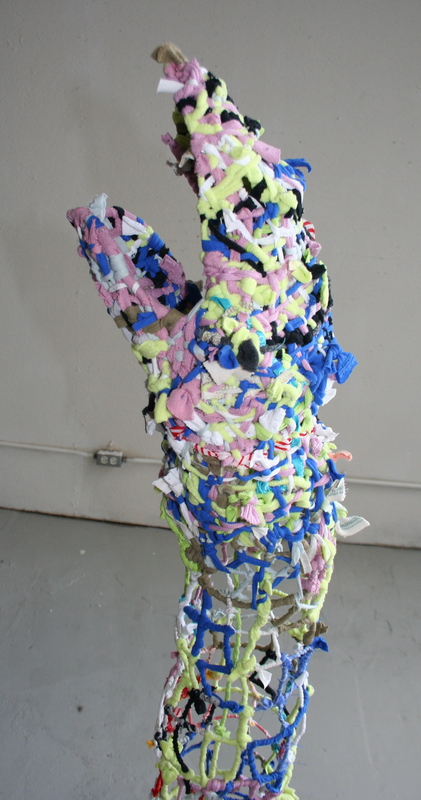 Recycled fabric from old clothes were then wrapped and woven around the armatures to create the final sculptures. Trace, Cut, Fold, Steam & Repeat is made of silk organza and speaks to the delicacy and seductive quality of material used to exemplify the preciousness of the #10 envelope. 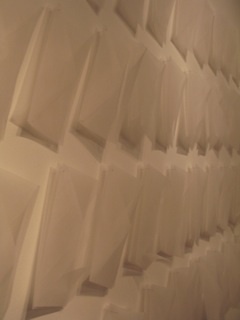 Each envelope was created with purpose in a methodical and deliberate manner. 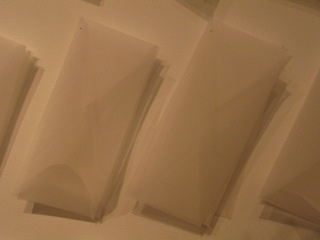 All were intentionally left unglued or stitched allowing for shadows to play and thoughts to run free of what could have been enclosed within each envelope. From Detroit With Love is a gallery documentation of a participant’s timed experience within the gallery. The first documentation, From Paris With Love, took place at the Grace Teshima Gallery in Paris, France. The second documentation of a participant’s timed experience was recorded at Detroit Industrial Projects by a time clock and anonymous questionnaire that was finalized as each envelope was sealed, stamped and mailed back to the artist. Ultimately, all the envelopes from both exhibitions will be bound in bundles with a stitched binding holding each exhibition experience separate from the other. 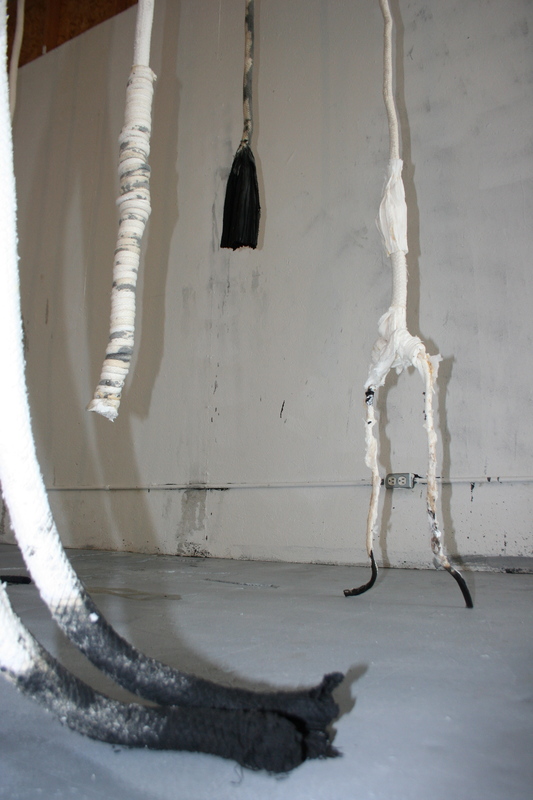 The gallery is dedicated to providing artists and curators with an environment where they can exhibit art in an uninhibited setting free of conventional constraints. Detroit Industrial Projects’ gallery is located in the Russell Industrial Center. You are currently browsing the Detroit Industrial Projects blog archives for October, 2012.